The Riptide R1 looks a lot shorter than the Boosted Boards. I like that it would be easier to carry with you, but as far as actually riding it the longer boards from Boosted Boards would be easier to ride. It is less than half the cost of a Boosted Board, but I think I would rather save up to get one that I know would work well. Casey Neistat has tested out a variety of electric skateboards and he always uses the Boost Boards as his first choice. The closest to the Boosted Board that Riptide offers is the R1x. It can go up to 22mph. What I like more about the R1x is that it has the tail that rises up like a traditional skateboard. It also has lights on it so you can use it at night and not be invisible to cars driving by you. One thing that makes me leery of the Riptide boards is that they do not advertise how steep of a grade the board can climb. What is the weight limit of this electric skateboard? I am a huge dude and weigh well over 300 pounds. I have been losing a lot fo weight, but so far I have not found an electric skateboard yet that can support me without breaking. When I lost enough I want to buy one, but I would really like to be able to get one now since I am more active now then I have ever been in my life. I would love to commute to work on a reliable and sturdy electric board. The weight limit of the Riptide boards is 250 pounds. Good to see more cheap alternatives to the Boosted Board. I would like to get a Boosted Board, but they are too expensive in my opinion. The Riptide R1 is smaller than a regular Boosted Board and is also able to “carve” with the add on. A shorter board like the R1 will have less flex, which is what many of us “old school” skaters want. A 7-mile range is more than enough range for me. I do wish the batteries were easier to swap out. You need a single tool and about 5-10 minutes to swap out the battery according to the Riptide webpage. If they made it even quicker to swap out the batteries then I am sure they would sell more of them because people like me would carry an extra one in my backpack so I could get more range just in case. Although I like the Boosted Boards, the $649 price of the R1 is about $900 cheaper than what it would cost me to buy a Boosted Board. I did read a review that said the controller felt “cheap.” Hopefully, the controller is durable enough that it can handle the occasional drop which is bound to happen occasionally while using electric skateboards. A longer board with more flex is better for those who ride regularly for commuting and transportation. 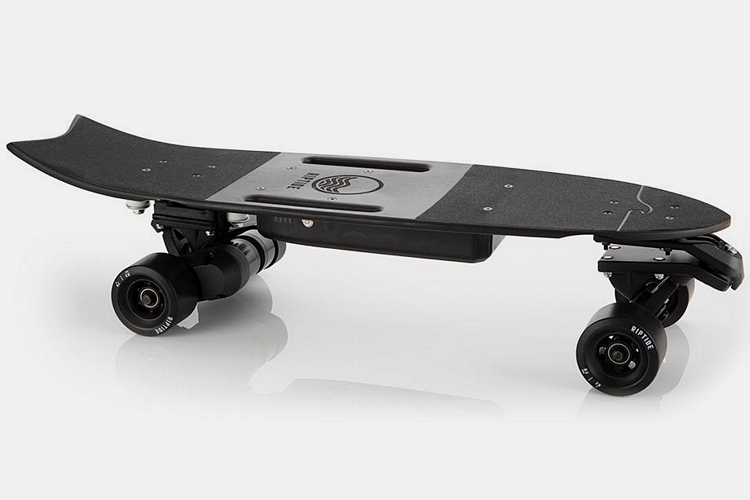 If you are just carving around the neighborhood then this R1 electric skateboard would be fine. We got a guy that works in our office building that rides an electric skateboard to work during the summer months. He wanted to commute by bike but the building management won’t let bikes into the building. He didn’t want to leave his expensive bike chained up outside but he also didn’t want to be forced to take the bus or his car every day, so he bought an electric skateboard. Not sure what brand he has, but its longer than the Riptide R1. I used to think that electric skateboards were just a gimmick or fad like the Hula Hoop. Simply a kids toy. I now see a lot of them around town. 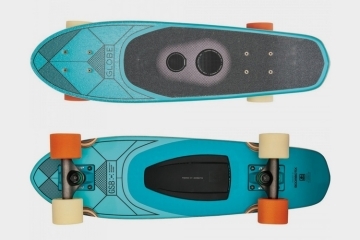 Electric skateboards are here to stay. I wish more people wore helmets when they ride them though. One small fall is all it takes to be brain damaged forever. A simple helmet is important to riders and should be mandatory. I want to try riding one but not sure how it would go since I have never ridden a regular skateboard before. I grew up riding a regular skateboard and now ride electric skateboards. Riding an electric skateboard is actually much easier than regular skateboards. 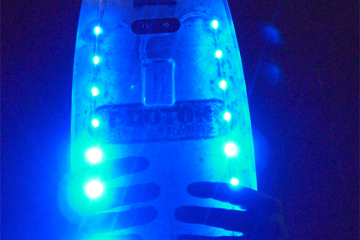 Most electric skateboards have a few different modes. I taught my friend how to ride my electric skateboard and he was zooming around within 10 minutes. 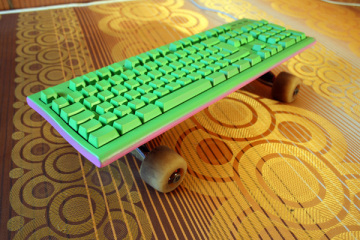 My advice is to get a longer board if you are using it for actual transportation. A longer board is easier to keep your balance on and will have you feeling more confident on it. A shorter board like this Riptide will be harder to balance on for beginners than a longer board. I own both short and long ones and prefer to use my short one when I am just messing around in my neighborhood. If I could only own one electric skateboard it would definitely be a longer one. Start off in easy or beginner mode. Start by riding it where there is no traffic or people. Most electric skateboard accidents seem to happen when the rider is zooming in and around cars. Make sure you have a helmet on. They are really easy to learn on. Once you get the basic controls down then you can build up to riding around. The hardest part about traditional skateboarding is learning the basics such as how to Ollie, but with electric skateboards, you are not jumping or doing kickflips or other tricks. 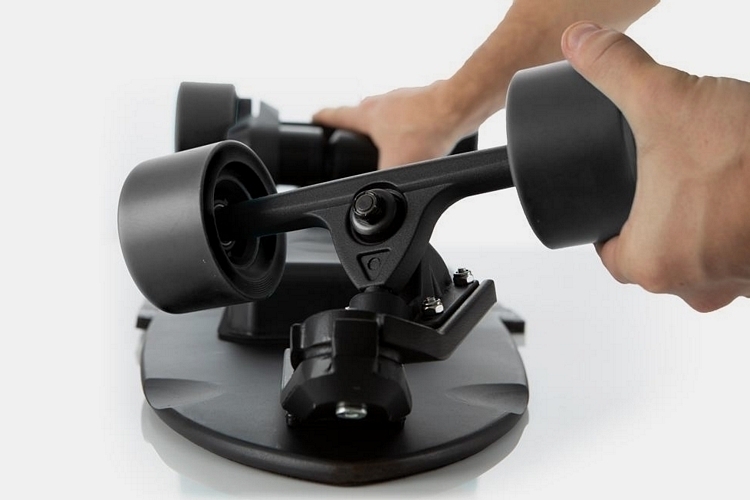 The hardest part about electric skateboards is saving up enough money to buy a good one. I own a long Boosted Board and it is by far my favorite. I have tried other electric skateboards but the Boosted Board has been my go-to board. I have tried shortboards. 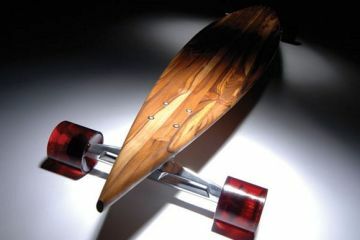 although I prefer longer boards, I love the traditional tail on the shorter electric skateboards. They are also generally cheaper. Boosted Boards even came out with a shorter board because there was so much demand for it. A shorter board is easier to take on busses, airlines, and restaurants. The difference between the cheapest electric skateboard and the nest such as the Riptides and Boosted Boards is the difference between a Ford Pinto and a Caddilac Escalade. They both move, but the Cadillac is more comfortable and will last for much longer. You get what you pay for. Don’t go cheap, go with a reputable brand. I have ridden my friends Riptide board and absolutely loved it. I also suggest you order it online because the local dealers do not have much if any inventory and they always seem to sell them above retail prices. If you are going to compare the best electric skateboards then take a Look at the Boosted Board and compare it to the Riptide R1X. The Riptide R1X is longer than the R1. Unlike the Boosted board, the R1X has the curved tail for better handling. Dollar for dollar, the Riptide R1X is the best value. It is still $999, but that’s still a few hundred cheaper than the Boosted Boards. One of the big selling points for the Boosted Boards is the bamboo laminate they used to make the deck. Unfortunately Boosted is moving away from the bamboo decks. 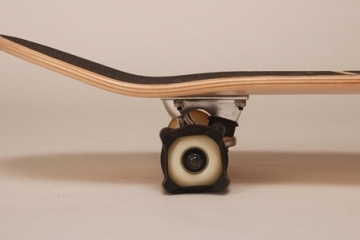 The R1X uses ABEC 11 bearings. ABEC 7 is considered the top for skateboards because most people will not notice a difference unless they are using them for a machine in a factory that has to be really precise. The face that Riptide uses ABEC 11 instead of the cheaper ABEC 7 shows that they are trying to get top performance in a budget board. 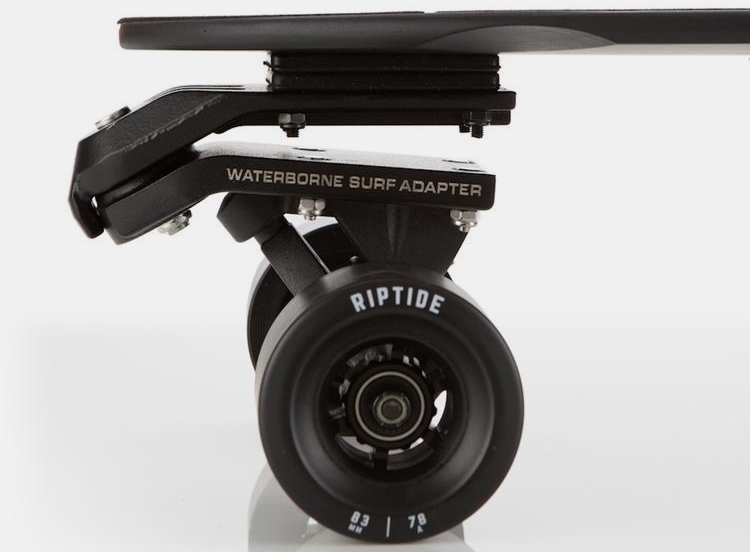 I Like the looks of the Riptide R1, but if I was getting a new one today I would definitely be buying the Riptide R1X. Not happy with the controller. It is cheaply built and you control the speed with your thumb instead of a finger. A finger throttle is so much easier and more natural to use. You get a lot more precise control with a finger controller instead of the thumb one. Why did they do this? Probably just to differentiate themselves from the electric skateboard leader Boosted Boards. This was a dumb choice to make. Give me the R1X but with a controller from Boosted. The finger throttle control generally works better than the thumb throttle, but there are people who prefer the thumb throttle. If you are trying to vlog and take video while holding your DSLR and skating thru traffic, then the thumb throttle might actually make more sense. It might sound stupid, but a lot of kids are getting electric skateboards because of the vlogger Casey Neistat. Not happy with the controller. It is cheaply built and you control the speed with your thumb instead of a finger. A finger throttle is so much easer and more natural to use. You get a lot more precise control with a finger controller instead of the thumb one. Why did they do this? 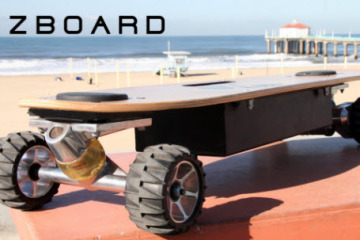 Probably just to differentiate themselves from the electric skateboard leader Boosted Boards. This was a dumb choice to make. Give me the R1X but with a controller from Boosted.